We harness the power of the mitochondria and its encoded peptides as the source for developing new potential breakthrough therapeutics to target age-related diseases with underlying metabolic dysfunction and comorbidities, such as NASH, obesity, Type 2 diabetes, cancer, and cardiovascular and neurodegenerative diseases. Nearly 92% of older adults have at least one chronic condition, and 77% have at least two comorbidities. Patients 65 to 69 years old take nearly 14 prescriptions, ages 80 to 84 take nearly18 prescriptions per year. Cardiovascular, obesity, diabetes, cancer and respiratory diseases are global epidemics. Metabolic dysfunction is a key factor in most age-related diseases. Alzheimer’s disease, diabetes, heart disease and cancer are responsible for 80% of the U.S. Medicare budget. 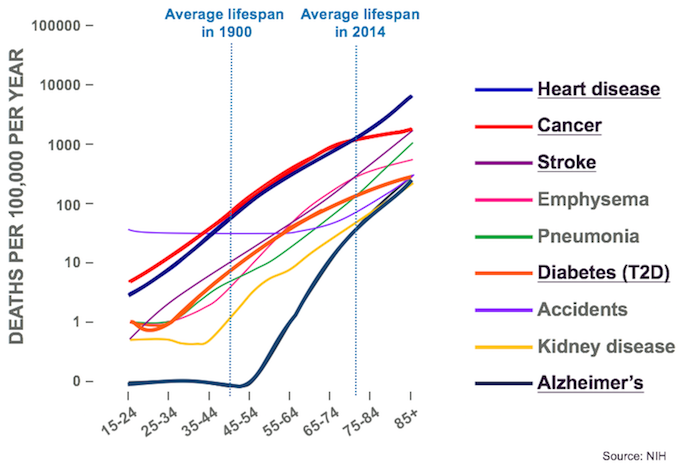 Alzheimer’s disease, diabetes, heart disease and cancer are estimated to cost over $30 trillion over the next 20 years. Mitochondria are the powerhouses of our cells and are responsible for converting nutrients into energy. They have their own DNA that encodes hundreds of peptides (small proteins). The mitochondrial genome is 200,000 times smaller than the nuclear genome and is inherited maternally. 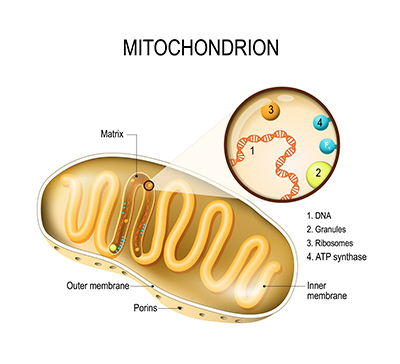 Mitochondrial function, which is critical to metabolism, declines with age. Our founders' discovered the existence of hundreds of new potential genes in the mitochondrial genome that encode peptides (small proteins), and identified the first mitochondrial-derived peptide ("MDP") associated with age related diseases in human centenarians and their offspring. They also demonstrated metabolic regulation and protection, cytoprotection and anti-inflammatory affects across multiple age-related diseases. Our founders' discoveries established MDPs as a potential source of therapeutics for metabolic dysfunction and diseases of aging. We develop mitochondria based therapeutics (MBTs) that harness the power of the mitochondrial genome to restore metabolic function, and have discovered more than 100 biologically active mitochondrial peptides and filed over 65 patent applications to protect these discoveries. 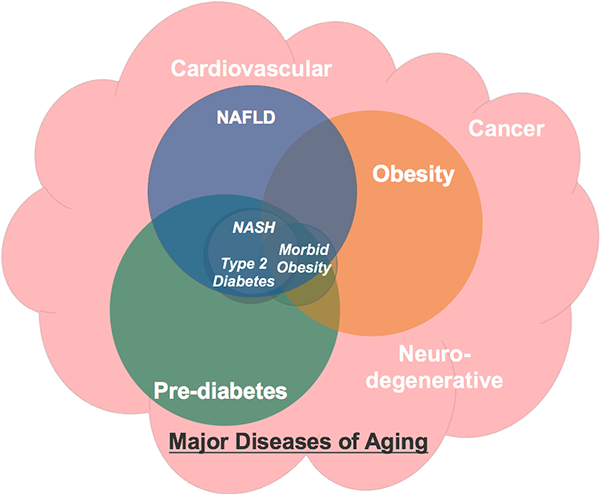 We are targeting age-related diseases with underlying metabolic dysfunction and comorbidities. At least 68% of people age 65 or older with diabetes die from some form of heart disease; and 16% die of stroke. About 20% of all cancers are caused by excess weight. There is a strong correlation between obesity and the development of Alzheimer's disease and Parkinson's disease. People with Type 2 diabetes and NAFLD have 2 times the “all-cause” mortality rate. Our proprietary technology platform explores the mitochondrial genome for new peptides that exhibit biological activity, and optimizes their structures using cell-based and preclinical models, to develop novel therapeutics with the potential to treat a wide range of age-related diseases. LEAD PROGRAM - CB4211 is a novel optimized analog from our MOTS-c program, which has demonstrated a role in regulating metabolism as well as therapeutic potential in preclinical models for the treatment of NASH and obesity. CB4211 entered a Phase 1a/1b clinical trial in mid-2018 with an activity readout expected in early 2019. CB4211 is the first ever mitochondria based therapeutic to enter the clinic and the first in a new class of drugs under development for the potential treatment of age related diseases. NEW MDP ANALOGS - Our expanding family of over 100 peptides is being evaluated for the potential to treat a wide range of age-related diseases and prioritized for internal development and partnership opportunities. Our pre-clinical activities are focused on identifying and optimizing mitochondrial-derived peptides (MDPs) and their analogs that demonstrate the greatest commercial and therapeutic potential as mitochondria based therapeutics (MBTs).